From the national Essence bestselling author comes an engaging tale about a family secret that sends one young woman scrambling to uncover the truth about her past. Olivia Dawson has watched her mother struggle her whole life. For as long as she could remember, it’s always been just the two of them, trying to make ends meet. When Olivia finally gets her big break—acceptance into Julliard—she chooses not to go because she would rather stay home to take care of her sickly mother and help pay the bills than chase after her dream. 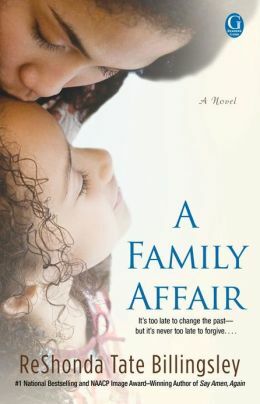 When Olivia’s mother finds out about her abandoned dream, however, she reveals a shocking secret: Olivia’s father is alive and doing very well for himself. Olivia decides to track down the man that might be her father, and confront him about the lifelong deception. Her father Bernard Wells is a wealthy business owner—his success is partly due to his marriage to a beautiful heiress and socialite. And predictably, he handles Olivia’s reentry into his life the same way he handles everything: by throwing money at the problem. But this tactic can only work for so long before the truth comes to light, bringing surprising revelations and healing for everyone.